Carpal tunnel is a very common symptom for professional E-sport players as well as computer scientists. One of our teammate’s friend Justin “Syrox” Burroughs is a 17 year old professional Smash Brothers Melee player. Justin travels the world competing and already experiences severe carpal tunnel. Professional E-sport players spend hours a day at their computer honing their skills and training to be the best. 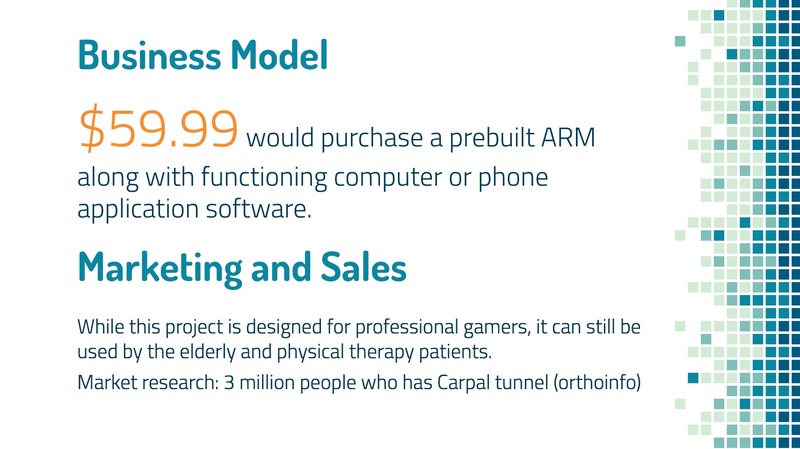 The stress these competitors put on their wrists and hands is immense and many professionals are experiencing severe carpal tunnel by the age of 22. Since MinneHack 2018 theme was health and sport injuries prevention, we came up with an automated device that can help train both professional E-sport players and common consumers preventative measures to help strengthen their hands in the hopes of preventing early onset carpal tunnel. Team Members: Tyler Quast, William Brickner, Adam Frick, and Nhan Tran. 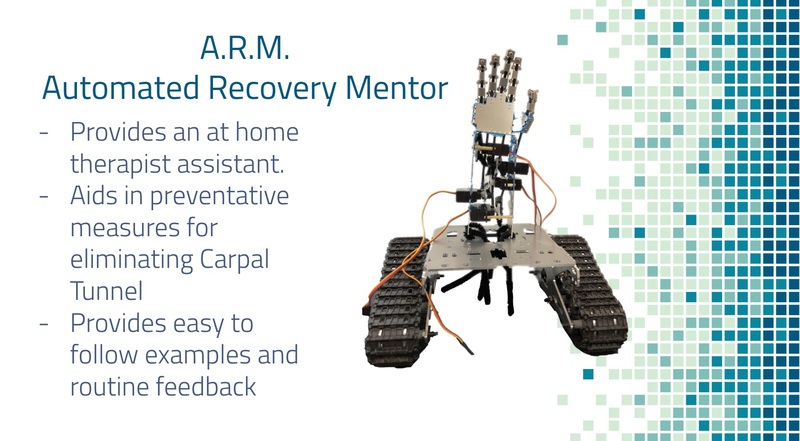 ARM (Automated Recovery Mentor) is a simulated hand built with joints and servo motors. ARM has pre-recorded stretches and exercises that it can perform and teach the user how to perform them as well. ARM can give feedback on the users performance using the Leap Motion infrared hand sensor. ARM began with a kit a group member brought from home. We then assembled the hand during the MinneHack hackathon at the University of Minnesota Twin Cities. Using python code, we were able to control the finger movements, allowing for a wide array of hand shapes and motions. The Leap Motion hand sensor was then implemented. The code for this was written in python, and will be the primary way ARM will take input from the user. Once both major pieces were completed, we integrated both of them into one unit. The Leap Motion sensor reads in the skeletal gesture data of the human and which can then be translated into movements of the robotic hand. ARM also has the capability to display exercises and critique the user on their form of the stretch to make the exercises as effective as possible. 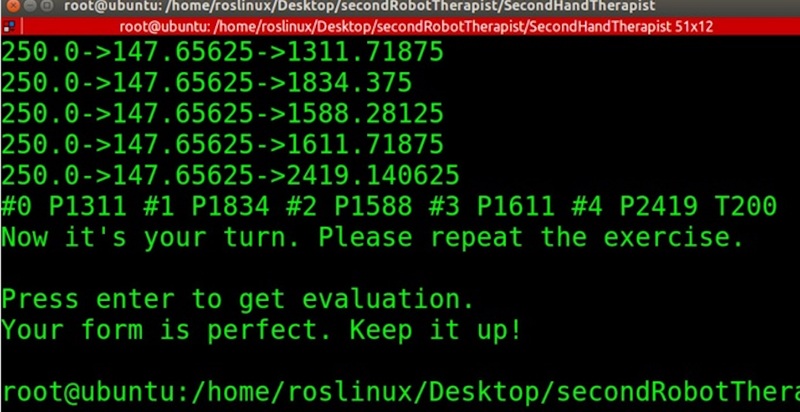 ARM provides feedback on the user’s performance following the hand exercise. The primary challenge we encountered came in the form of hardware resource limitation. We are without batteries, tools and other basic hardware essentials. We were challenged to find new and creative ways to implement our ideas. Time was also a big constraint as we had many ideas we intended to implement. One main feature we would like to add in the future is more stretches. If we can expand the functionality of ARM it will have a much greater appeal. 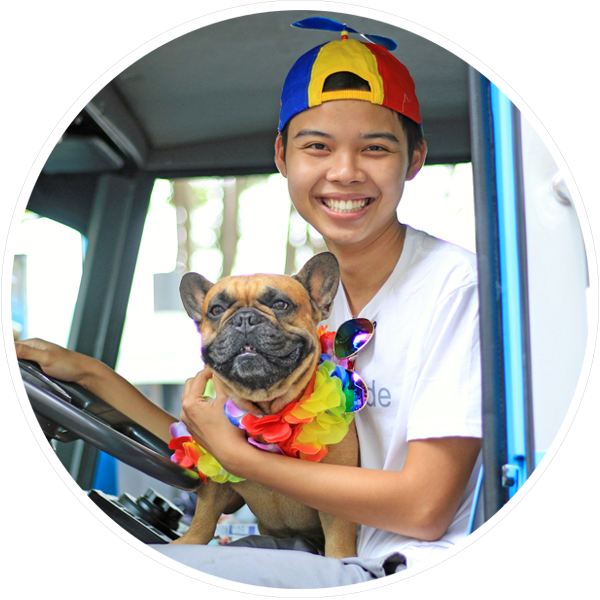 We set out to build a product and were able to bring our visions to life. We overcame a lot of initial hardware troubles in the form of lack of resources to develop a working product. 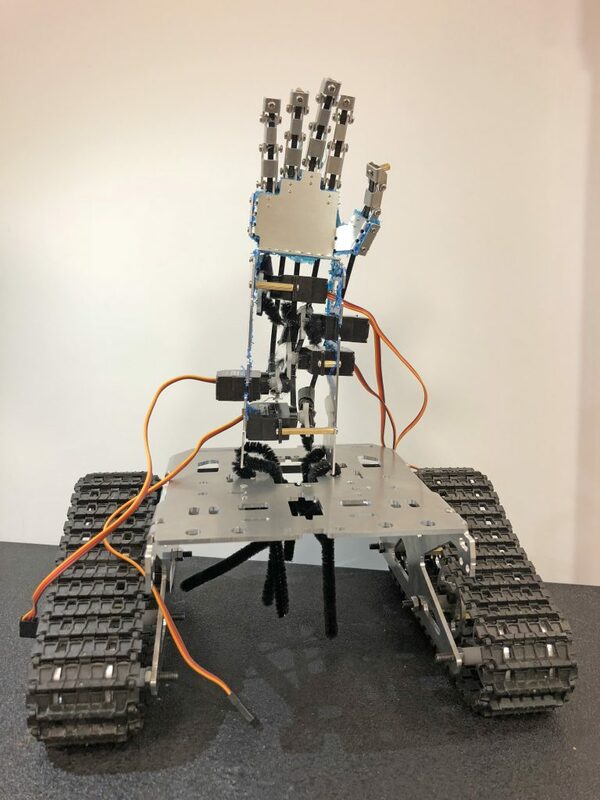 The software was also a challenge as we had to interface a complex software algorithm (referring primarily to the Leap Motion sensor) with various servo motors. We learned many new applicable skills that we all can use in our future projects. A specific skill we had to learn was using the QT framework to build a working UI for ARM. Our goal was to make it simple to use while also providing ample information to both the user and the hardware. In addition to prototyping ARM in less than 16 hours, we researched the market and presented to the judges and fellow hackers. Our plan for continued development of ARM is to add a wide array of exercises and workouts. Each one of these will take time to code individually and require a lot of attention. A feature that could also be implemented in the future is to use the Leap Motion sensor to have the user teach ARM new exercises. This can help the user work with real physical therapists to build workouts more tailored for their specific needs.